Issue 4 of The New Zealand Journal of Natural Medicine is now available in New Zealand (in stores from February 2) and will be in Australia in the last week of February. 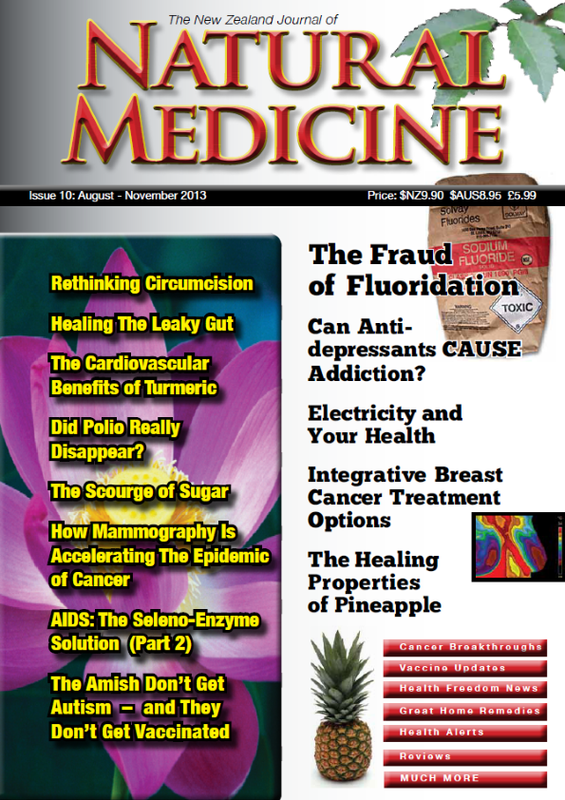 Our fourth issue focuses on detoxification. Renowned Canadian herbalist Klaus Ferlow has contributed a guide to avoiding personal care products that contain toxic ingredients thereby helping you reduce unnecessary toxic exposures. 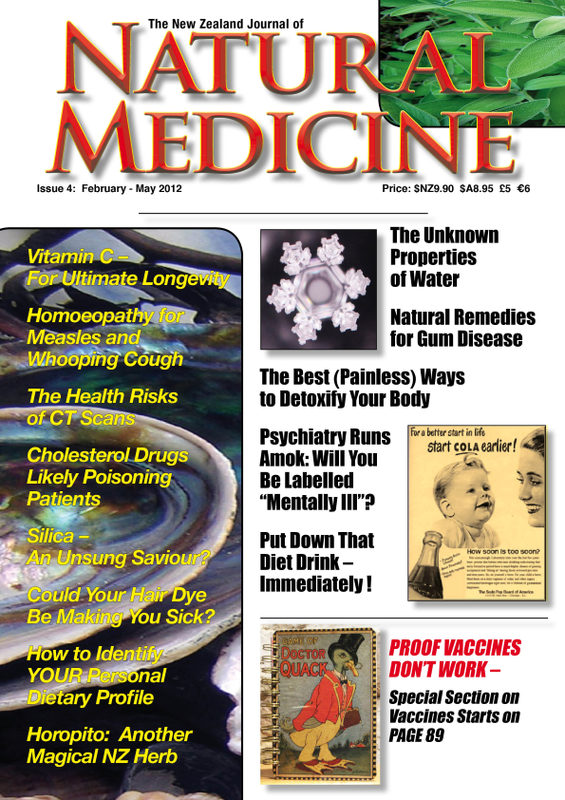 To help reduce the harmful effects of toxic substances to which we are all exposed, this issue also includes an article by Dr Mark Sircus on the best natural chelation techniques to reduce body burdens of heavy metals (including radioactive uranium). 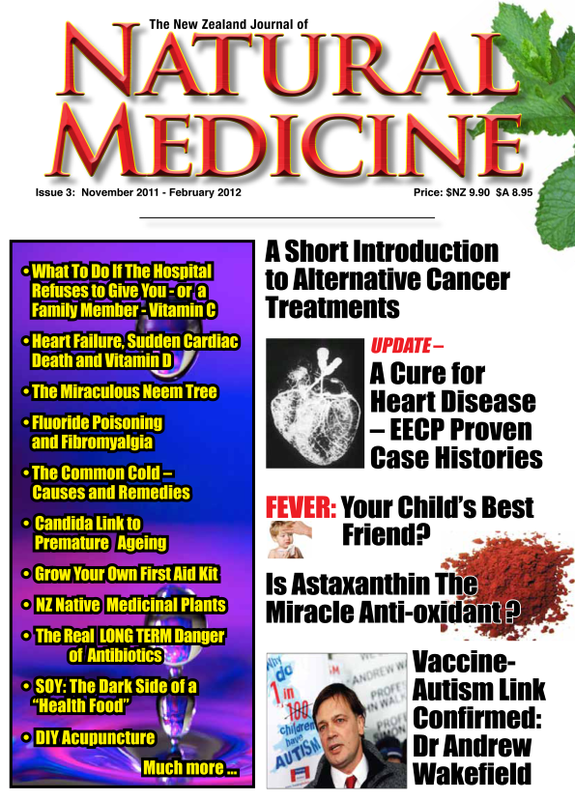 Also continuing in the detoxification theme, in our Reader’s Story for this issue a former NZ soldier shares his story of how his Agent Orange poisoning symptoms resolved after taking zeolite, while naturopath Michael Sichel provides a commentary on the science behind this man’s remarkable recovery. For parents who are concerned about measles or whooping cough, this issue features an article by Auckland homoeopath Lee-Anne McCall on the treatment of these childhood diseases. Paediatrician Robert Mendelssohn once famously said that the major risk posed by childhood illnesses was the “dangerous and ineffectual” attempts to prevent them through vaccination. Accordingly, this issue features a special section on vaccines – including an editorial about why large numbers of New Zealand doctors, nurses and midwives refuse influenza vaccinations. 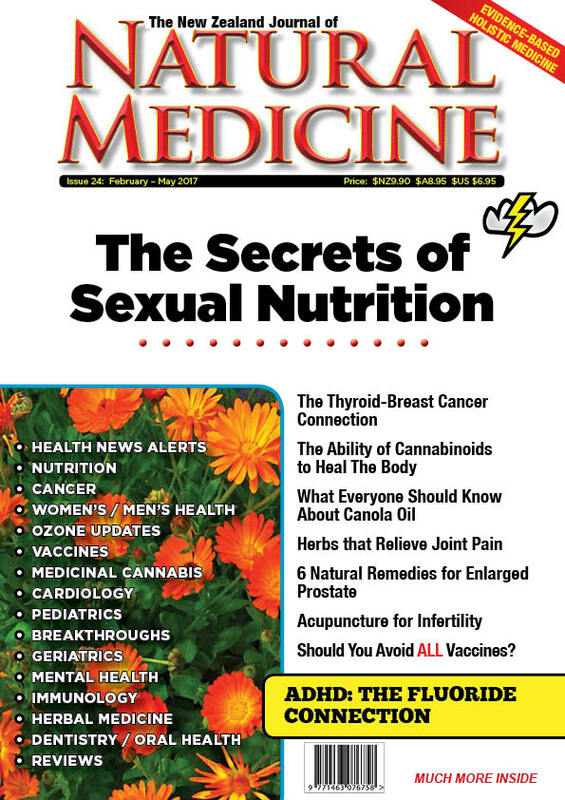 Diet and nutrition, the fundamentals of health aren’t forgotten in this issue. Lady Carla Davis shares her practical knowledge of nutrition in the article “Defining Your Personal Dietary Profile” while editor Katherine Smith reviews Dr Thomas Levy’s exciting new book Primal Panacea about the uses of vitamin C in the prevention and treatment of disease – and the politics surrounding the use of this crucial nutrient.